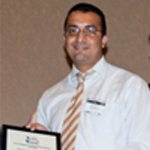 Hany Hassan is working on his PhD at the University of Central Florida. He is working on a Florida Department of Transportation Research Project with Dr. Mohamed Abdel-Aty that involves safety and ITS aspects. Chowdhury Siddiqui finished his Masters in Transportation and will be continue to work toward a PhD in Transportation at the University of Central Florida. He is working under the direction of Dr. Mohamed Abdel-Aty on a Florida Department of Transportation Research Project that involved both safety and ITS components. 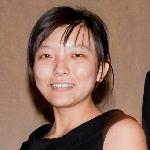 Ms. Xiaoyu Zhu joined the PhD program in Transportation Engineering at the University of Florida in 2007 with a minor in Statistics. She has been involved in several safety studies some of which have been published by the Transportation Research Board.